Does new ‘mother ship’ portend increased whaling by Japan? The Japanese government is considering the replacement of the “mother ship” in its fleet of whaling vessels, as part of a potential expansion of whaling in the Antarctic. The newspaper Japan Times today received confirmation that the Japanese Fishing Agency has requested the equivalent of $910,000 to study the future of commercial whaling. 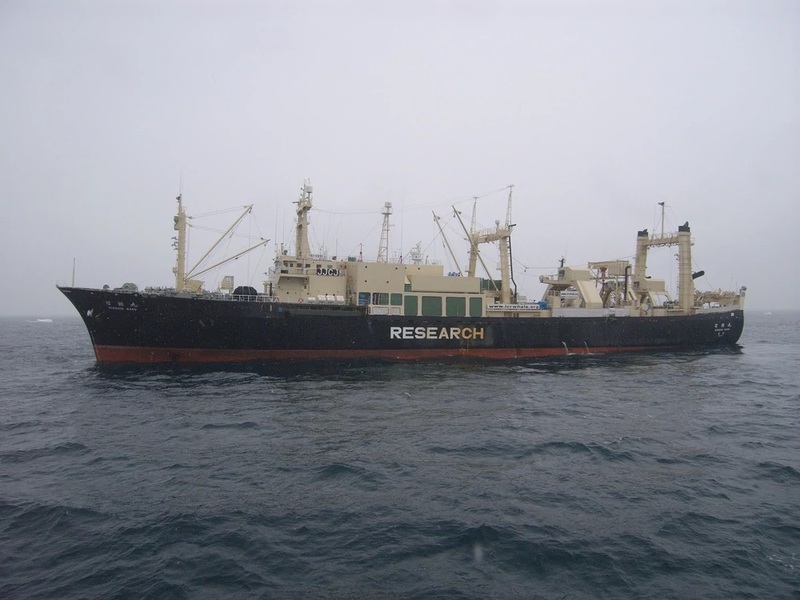 If approved, the study would consider ideas for replacing the 30-year-old Nisshin Maru, best known as the factory ship used for processing whale meat. Japanese officials collect certain information about the whales and call it scientific research. Anti-whaling activists, including Paul Watson of Sea Shepherd Conservation Society, reacted harshly to the news, saying the study is a sign that the Japanese government not only intends to keep slaughtering whales but may be on the verge of expanding commercial operations. After problems with finding and pursuing the Japanese whalers last year, Sea Shepherd did not send any ships into battle this year. It was the first time in 12 years that Sea Shepherd has failed to confront the whalers in the Southern Ocean — except for 2014 when the Japanese whalers called off the hunt. 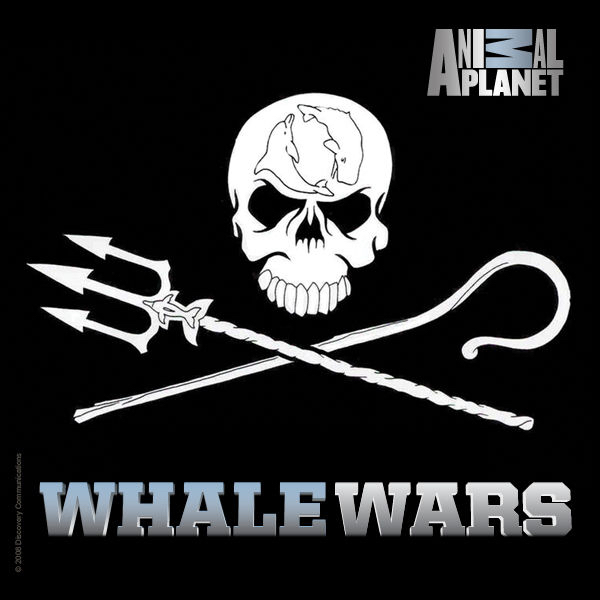 Watson said he has also heard that the Japanese military may be sent to protect the whalers if Sea Shepherd tries to stop them. Sea Shepherd is not giving up its efforts to protect the whales in the Southern Ocean, Watson stressed. Instead, the organization will develop new tactics while calling on the Australian government to do more to protect the whales. In December, countries in the European Union and 12 other nations expressed their opposition to the whaling taking place in the Southern Ocean Whale Sanctuary, a protected area established by the International Whaling Commission. Australia and New Zealand, but not the United States, are among the signatories. The “Joint statement against whaling” points out that the International Court of Justice ruled in 2014 that the Japanese whaling did not meet the basic requirements for scientific studies. Legitimate research is one of the few exemptions that allow the killing of whales under the International Convention for the Regulation of Whaling. 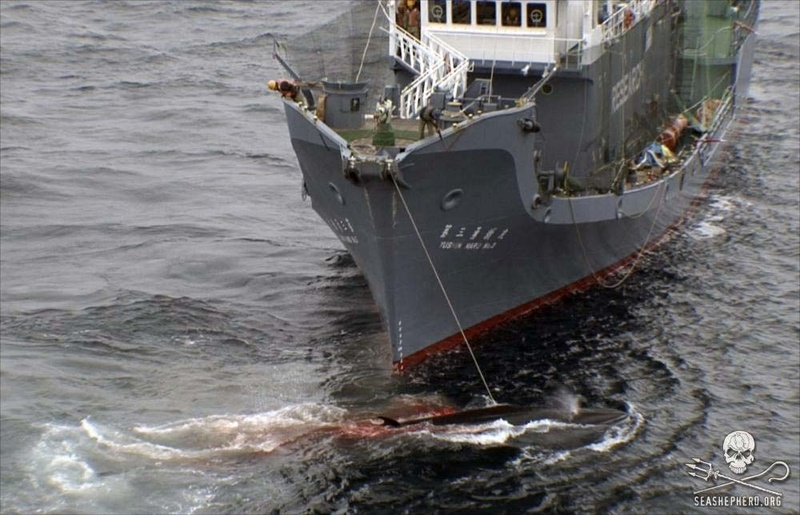 The Japanese called off the whaling the following summer in Antarctica but started it up again the next year under a new whaling plan submitted to the International Whaling Commission. The Japanese government said it would never again place itself under the jurisdiction of the international court. The IWC has since questioned the new whaling plans and has adopted two resolutions calling on the Japanese to halt whaling until the new scientific plan can be reviewed by the Scientific Committee of the IWC. Japan objected to the process on procedural grounds in a position statement and ignored the international posture, including the latest IWC resolution (16-2) in 2016. Plans to replace or overhaul the Nisshin Maru were first floated in 2005, according to sources quoted in Japan News. Nothing happened, however, until this year when the idea was resurrected by pro-whaling lawmakers in Japan. The ship was built in 1987 as a trawler and converted to a whale processor in 1991. Whales harpooned by smaller vessels can be pulled up a gangway to the deck for slaughter. Up to 1,200 tons of meat can be stored in a freezer below decks, according to the newspaper. 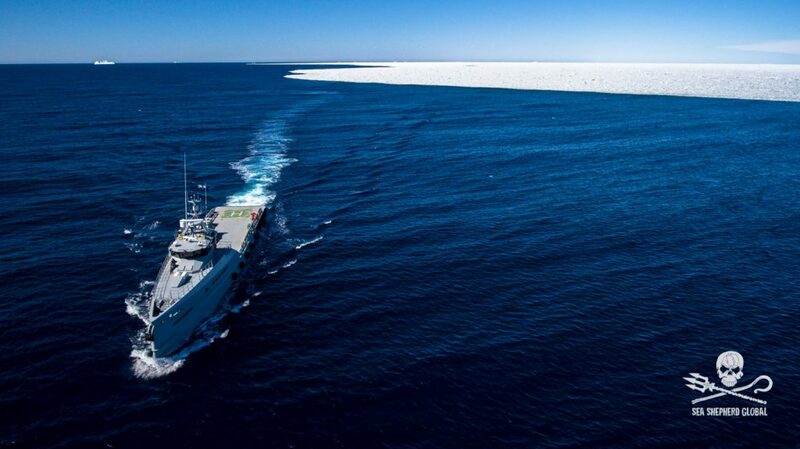 Some reports said Japanese officials want a ship that could operate quicker on the high seas to evade Sea Shepherd’s aggressive actions, which they consider to be terrorism. About 100 people were said to be on board the Nisshin Maru in November when the ship departed from Japan’s Innoshima island, Hiroshima Prefecture, heading for the Southern Ocean. The goal is to hunt up to 333 minke whales, a quota established by the Japanese government with no outside approval. A mood of disappointment seemed to hang over delegates as the International Whaling Commission’s annual meeting came to an end in Portugal. No real accomplishments were cited, and the debate between whaling and anti-whaling advocates will go on. 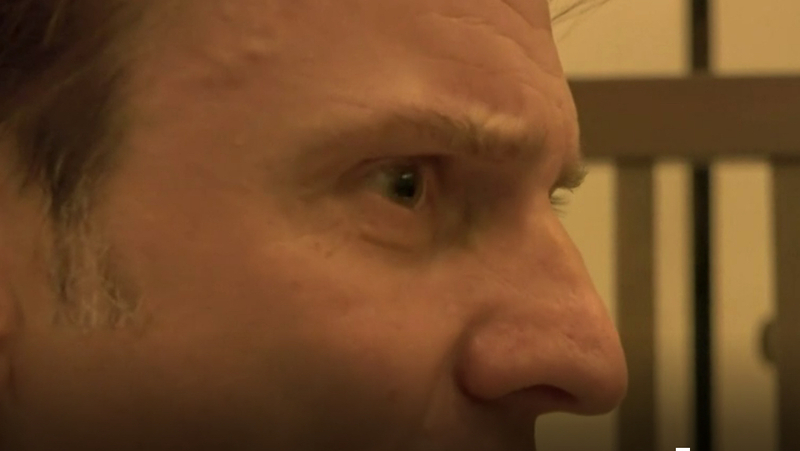 Perhaps the most positive comment I saw was by Patrick Ramage of the International Fund for Animal Welfare in a story by Association Press reporter Barry Hatton. Hatton made the point that the IWC was set up in 1949 to allocate the whale harvest and now discusses environment threats, such as pollution and climate change. Anti-whaling groups are turning to economics as a key reason why all countries should discontinue commercial whaling. A report commissioned by the International Fund for Animal Welfare concludes that the whale-watching industry has more than doubled over the past decade. In 2008, more than 13 million people in 119 countries and territories participated in whale watching, generating a total $2.1 billion in direct expenditures, the report says. The report, by Economists at Large & Associates of Melbourne, Australia, was released at this week’s International Whaling Commission’s Meeting in Madeira, Portugal. Across the globe, the whale watching industry has grown at an average rate of 3.7% per year, comparing well against global tourism growth of 4.2% per year over the same period. The picture that emerges is of an industry that provides a new model for use of natural resources — an industry that relies on whales in a non‐extractive way. That, when well managed, can be truly sustainable and provide a sharp contrast to the days when whales were seen solely as a resource to be hunted and consumed. It should be noted, however, that whaling watching itself is not without its impacts. The IWC has focused considerable attention on this issue as well. See this year’s report from the Scientific Subcommittee on Whale Watching (PDF 220 kb). Meanwhile, a report commissioned by the World Wildlife Fund International concludes that whaling activities in Japan and Norway are not profitable by themselves and probably would not exist without subsidies. The June 18 issue of Science News reviews that study. Iceland and Japan argue that whaling is an important cultural tradition and should be maintained even as the whale-watching industry grows. The International Whaling Commission continues to be pushed and pulled, both from within the organization and from outside. Sometimes I wonder how this organization manages to keep functioning. Following a special commission meeting last week, I thought it might be worth recounting a little history and taking a few comments. The IWC originally was set up in 1946 to determine what species of whales should be commercially harvested and to establish quotas for long-term sustainability. Many countries, including the United States, have since taken the position that whales should be protected, not killed. Some countries, however, still view sustainable whale hunting as not much different from commercial fishing, and the U.S. supports aboriginal whaling in Alaska and elsewhere in the world. A moratorium on commercial whaling, started in 1986, remains in effect pending scientific conclusions about stock abundance, reproductive rates and other issues related to population dynamics. Because Iceland, Norway and Russia lodged formal objections to the moratorium, they are not subject to its conditions. Because the IWC is voluntary and acts on consensus, its authority is limited. Delegates sometimes find themselves walking on eggshells to keep the organization from falling apart, and sometimes delegates walk out in frustration. Last week, during the intersessional meeting in Rome, the commission authorized continued work on a policy that could allow limited whaling in the eastern Pacific Ocean. The policy also would look for ways to reduce whaling in the Antarctic. Anti-whaling groups are calling the deal overtly political and contrary to the scientific approach that has directed the IWC up until now. “Science has been thrown to the whalers like Christians to the lions in ancient Rome,” said Patrick Ramage the International Fund for Animal Welfare. See the report by the Environmental News Service. Several conservation groups have called for the firing of William Hogarth, the U.S. commissioner and current chairman of the commission. Hogarth has been walking a tightrope, carefully considering arguments between whaling and anti-whaling countries. It seems as if his goal is to keep the IWC together, even if it means concessions to the whaling countries. For some insight into the difficulties, read the “Report on the Small Working Group (SWG) on the Future of the International Whaling Commission” (PDF 228 kb) and Hogarth’s testimony (PDF 24 kb) before a U.S. House committee. The United States continues to view the commercial whaling moratorium as a necessary conservation measure and believes that lethal scientific whaling is unnecessary in modern whale conservation management. The United States also continues to have significant concerns over the recent resumption of international trade of whale meat. The issues before the IWC are so complicated that I cannot envision a true resolution. As such, I would not be surprised if some sort of solutions result from public pressure and economics rather than international politics.